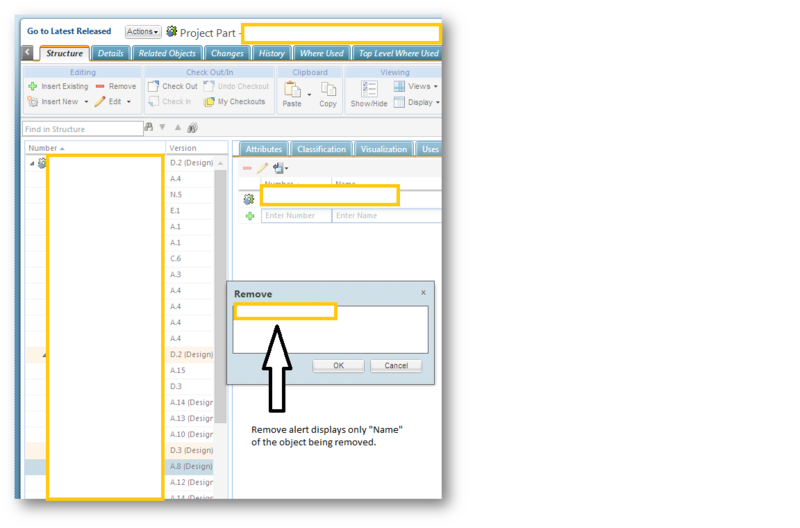 Need object identity on Remove alert (not just name of the object). Remove alert in PSB just shows name of the object being removed. We need to have object identity in the window as "Name" is not unique field but "Identity" (Number, Name and Version) will mostly be unique. Please treat this as high priority (if that means anything to you ).